If a change in construction is being considered as a means of obtaining longer service on a rope influenced principally by bending stresses, the table of factors may be useful. For example: a change from a 6 x 25 FW with a factor of 1.00 to a 6 x 36 WS with a factor of 1.5 would mean the service life could be expected to increase 1.15 times or 15%. It must be pointed out, however, that these factors apply only for bending stresses. Other factors which may contribute to rope deterioration have not been considered. 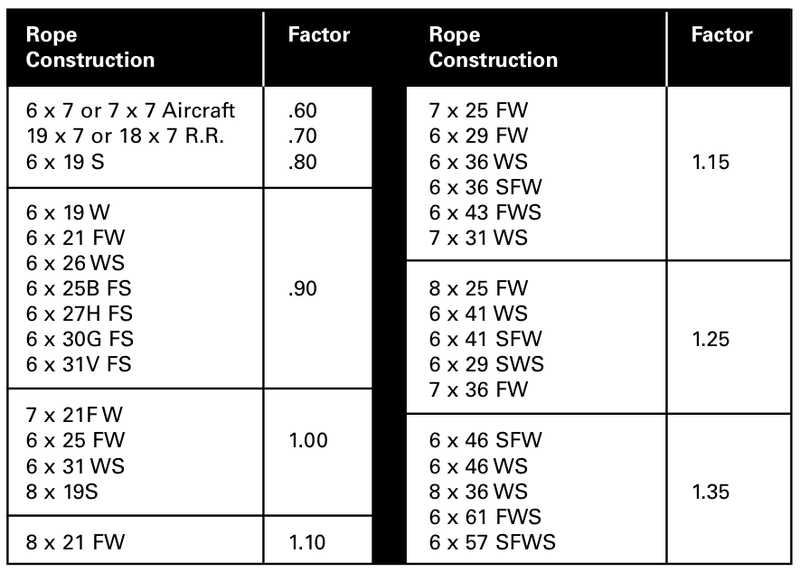 *Note: This table, with some modifications, is based on outer wire diameter relationships. Figure 34. 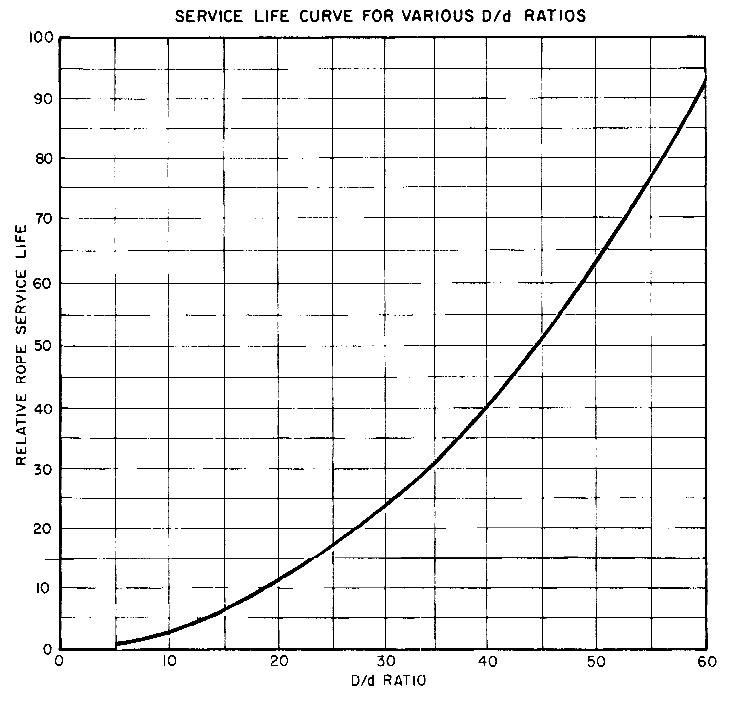 This service life curve only takes into account bending and tensile stresses. Its applicability can be illustrated by the following example: A rope working with a D/d ration of 26 has a relative service life of 17. If the same rope works over a sheave that increases its D/d ratio to 35, the relative service life increases to 32. In short, this rope used on a larger sheave, increases its service life from 17 to 32 or 88%.